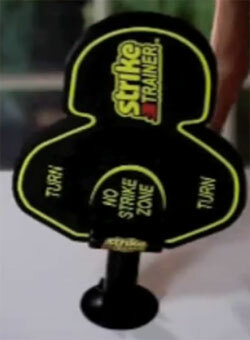 Yes, Strike Trainer is a piece of foam with a suction cup attached. Strike Trainer is vaguely shaped like a person’s upper body, but you will need to imagine this “person” sticking out of the wall at a right angle, which is just strange. The Strike Trainer comes to us from fitness expert John Abdo, better known to infomercial fans as the creator of the Ab-Doer Twist. 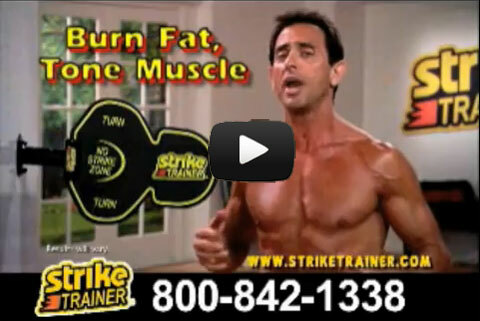 Strike Trainer’s motto is “Just hit to get fit,” and it comes with an instructional DVD, just in case you can’t figure out how to hit a piece of foam. As brilliant as the idea behind Strike Trainer is, you will probably get more motivation by adding a suction cup to a “We’re #1” giant foam hand of your most hated sports team. The best part is that it’s “doctor” recommended for weight loss!